After a cold April, it finally feels like spring, and conditions look good for planting in Western New York. While frost can’t be ruled out completely, the chance of frost is “very, very small,” said Jim Mitchell, meteorologist with the National Weather Service in Buffalo. Even the deeper valleys in Allegany, Cattaraugus and Chautauqua counties should be fine because the rivers keep them warm at night. But besides frost, gardeners also have to be concerned about the nighttime temperatures. As we noted in a previous article, some plants, such as tomatoes, like nighttime temperatures to be at least 50 degrees Fahrenheit, and other plants, such as peppers, melon and squash want nights that are even warmer– about 60 degrees Fahrenheit. The coldest night this week should be tomorrow (Wednesday), Mitchell said. The low might be in the mid to upper 40s in the coldest valleys. The rest of the area should see a low in the lower 50s, and that low temperature should be just before the sun comes up; the rest of the night should be warmer. For the rest of the week, the temperatures should be much warmer, with a chance of showers this weekend. For Buffalo, the average low temperature for today is 49 and for tomorrow is 50, he said. An average low temperature of 60 should arrive around June 23. There are no statistics for the Southern Tier, but you can expect that those areas will be one to two weeks behind the Buffalo area, he noted. During spring, temperatures aren’t stable. It might get down to 41 one night and 60 the next. As we get closer to summer, the temperatures stabilize. During summer, we can also look forward to what the local meteorologists call summer lake effect. In fact, during the summer, Buffalo is the sunniest city with a population of 100,000 or more in the Northeast, he said. It’s those lake effect breezes off the lake that keep it that way. During the summer, you may see a ring of clouds around the city, while it’s sunny over the city. Heat is one of the key ingredients for creating clouds and storms, Mitchell said, but the cool air moving in from Lake Ontario as well as Lake Erie keeps the Buffalo area sunny. 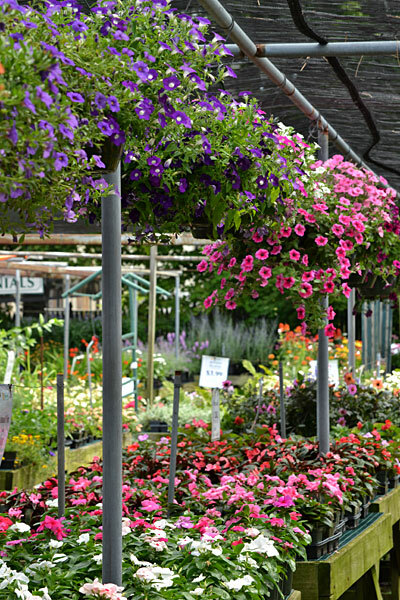 You may not realize that garden centers in Western New York carry different plants. I talk to lots of gardeners– usually the ones with the spectacular gardens– who make the rounds of garden centers to find new, different or unusual plants. 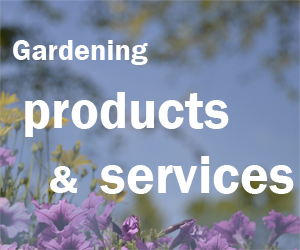 Check out our Gardening Directory to see businesses you might not have known about. When you visit them, please tell them you heard about them from Buffalo-NiagaraGardening.com! And if you’re looking for a particular plant, contact garden centers directly. 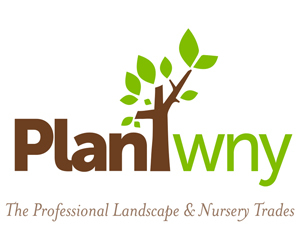 You can find contact information in our Gardening Directory. Sometimes readers contact me when they’re looking for a plant, but I can’t help. Not only do different garden centers carry different items, a shop may have dozens of specimens of a particular plant on hand one week, but the next week they could be sold out. It really is best to contact them directly. Make sure you water those plants once you get them home. I’ve made this mistake: In the morning I hear that there’s a 60 percent chance of rain, so I cross watering off my list of things to do. But a 60 percent chance of rain doesn’t mean it will definitely rain; it means that there is a 6 in 10 chance that it will rain. And it might rain somewhere in Western New York, but not in my garden. Or it might rain in my garden, but not rain enough. Even if it’s clouding up as you get the last plants in the ground, water them before you go in the house; the rain may pass you by. And if you can’t get the plants in the ground right away (maybe because it’s too rainy out to plant them! ), make sure you keep them watered. The small containers will dry out faster than a garden bed will. I depend on this tip I got from a gardener: Water when it rains and water when it doesn’t. Don’t depend on the plastic plant tags that come with your six-pack. Second, the little tags often don’t make it through the winter, so they often don’t work well for perennials. The tag can come out the soil and blow around. Invest in some good plant tags or make some yourself. Make plant tags out of wood or out of aluminum cans. Chet Okonczak shared more tips on ways to keep track of what you have planted. You can see his garden on Open Gardens again this year. Memorial Day isn’t a gardening deadline; it’s more of a starting point. You can still plant tomatoes in June. You’ll find healthy, flowering perennials at garden centers in July. In August and September, look for different kinds of annuals than you’ll find in spring. Visit garden centers throughout the summer– and autumn– to see what’s new. I FINALLY found a use for all those wine corks-plant markers! Thanks for the reminder, Connie. I know! They’re too interesting to throw away. This is a great way to recycle them. I cut 8 inch pieces off old white mini blinds and write in them with pencil. You can also erase it. These are my seedling/plant markers. One mini blind might last you a life time or two. Richard, that’s a great idea! Thanks for sharing.